Adhesive tin ties offer an effective way to seal in freshness of coffee, teas, baked good, and more. TT5KRD is our Kraft adhesive tin tie that is 5 1/2" in length. The adhesive comes with an easy peel-away paper strip and is applied by hand. Tin ties provide a simple way to close and reseal products. Best used with coffee bags, sold separately. Adhesive tin ties provide an easy way to seal products without the need for fancy machinery. TT5KRD is our adhesive tin tie in Kraft and measures 5 1/2" in length. Adhesive tin ties are pressure sensitive and applied by hand. 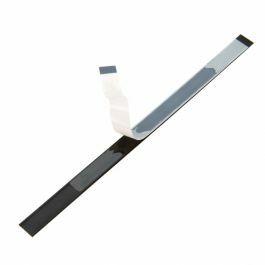 The adhesive backing measures 3 1/2" and is located in the middle of the plastic strip. Maximize the freshness of coffee, tea, cookies, and cupcakes. Ideal for use with favor or goody bags. Tin ties offer an affordable way to secure products and enable resealing. Firmly stick the adhesive on the top of the bag, fold down, and seal shut with side tabs. Best used with ClearBags coffee bags, sold separately. Most popular use for this Kraft adhesive tin tie is for sealing Kraft coffee bags.